The passengers who were scheduled to travel to Guadeloupe from Puerto Rico were in transit in Dominica on a LIAT flight which landed at Melville Hall Airport. 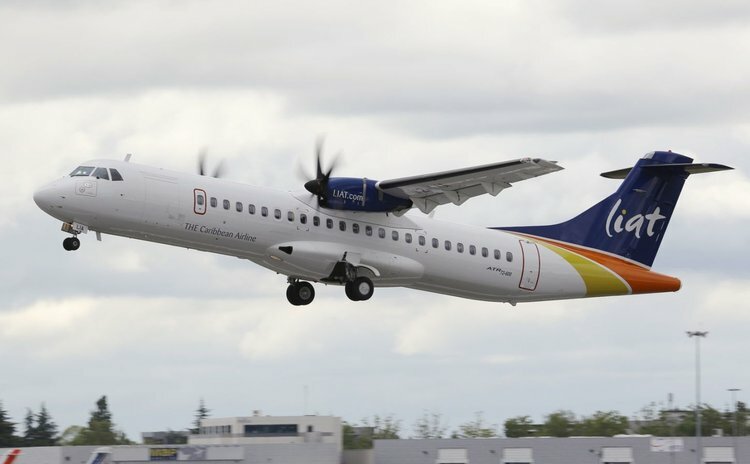 The passengers had already endured flight delays during the flight and on arrival in Dominica they were not provided with sufficient information on their eventual departure to Guadeloupe by LIAT. The passengers verbally protested the treatment they received by LIAT, and not receiving any update from the airline, their displeasure was communicated to security and immigration officials on duty at the airport. A group of these passengers entered the secure zone of the airport, that is the path leading to the tarmac when a security officer opened the door. The passengers refused to return to the in transit lounge even after being warned that it was against the law to be on the tarmac without proper authorisation. This being the case, the police were called in to maintain order and were left with no choice but to arrest the passengers who refused to comply to the police orders to leave the secure zone. The Honorary Consul was informed of the incident, and was aware of the situation at all times. The passengers were in no way mistreated during the incident. Free accommodation was offered to the children ages 8, 15 and 19 however the parents refused this offer. Arrangements were made by the Honorary Consul for the children to be flown to Guadeloupe by private charter the next day. The Honorary Consul personally facilitated the departure of the children to Guadeloupe on March 10, 2014. The passengers who were detained were brought before the Courts the next day since they had broken the laws of Dominica. The detained passengers were fined for the offense committed in keeping with the laws of Dominica. After this, they demanded that the Honorary Consul make flight arrangements for their return to Guadeloupe. In circumstances where the law of the country is broken, the Honorary Consul is not obligated to repatriate persons to their country of origin. We have since received confirmation that the passengers were reimbursed by LIAT for the charter flights (for the parents and children) from Dominica to Guadeloupe. We wish to reiterate that Dominica welcomes all visitors to its shores, and regrets that the visiting passengers had such an unpleasant experience in Dominica en route to Guadeloupe. We also wish to state that the Commonwealth of Dominica is a sovereign nation and officials charged with maintaining law and order are duty bound to uphold the laws of the land.